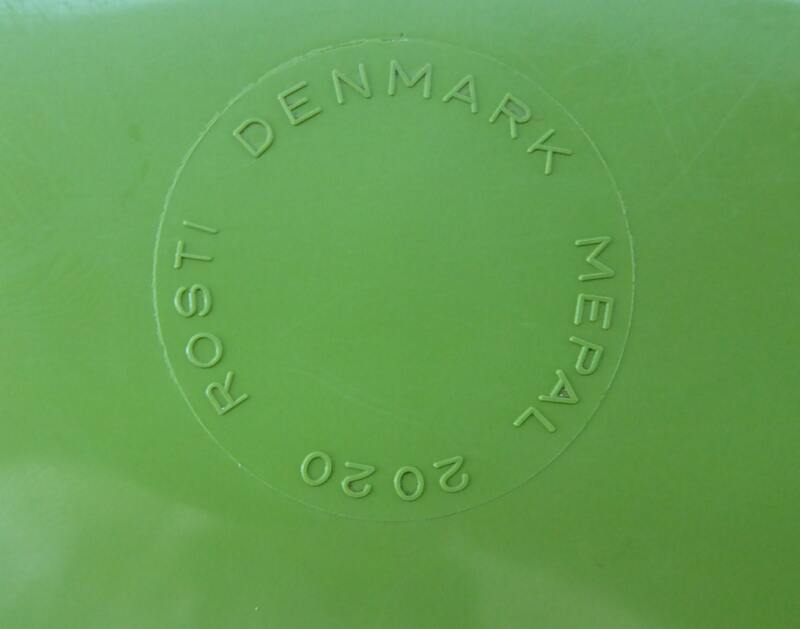 This is certainly a rarer item if you collect vintage Danish Rosti pieces. 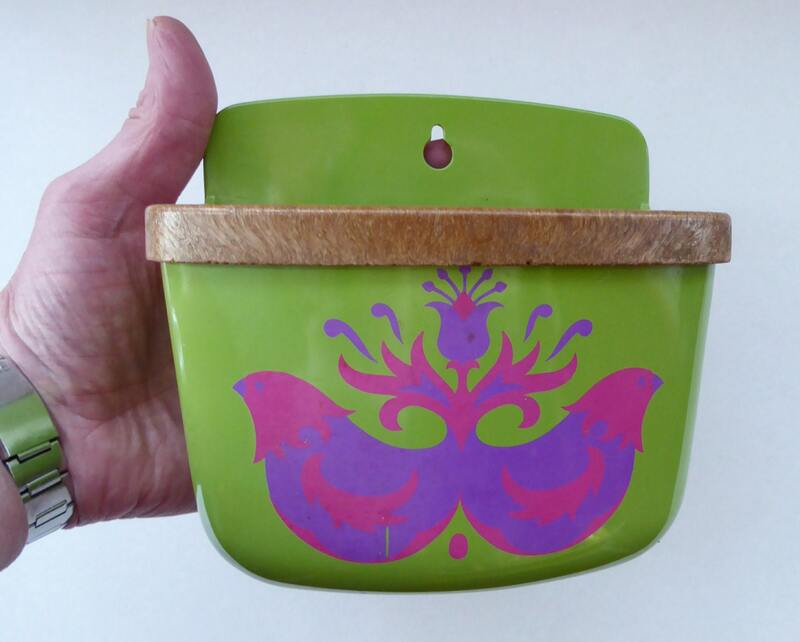 This is a hard to find 1960s bright green melamine pot which you would hang on the wall from a nail which goes through the little hanging hole in the top. There were traditionally used in Denmark as pots to keep salt in - but of course you can now use for anything that comes to mind... perhaps in the kitchen for stock cubes or tea bages. 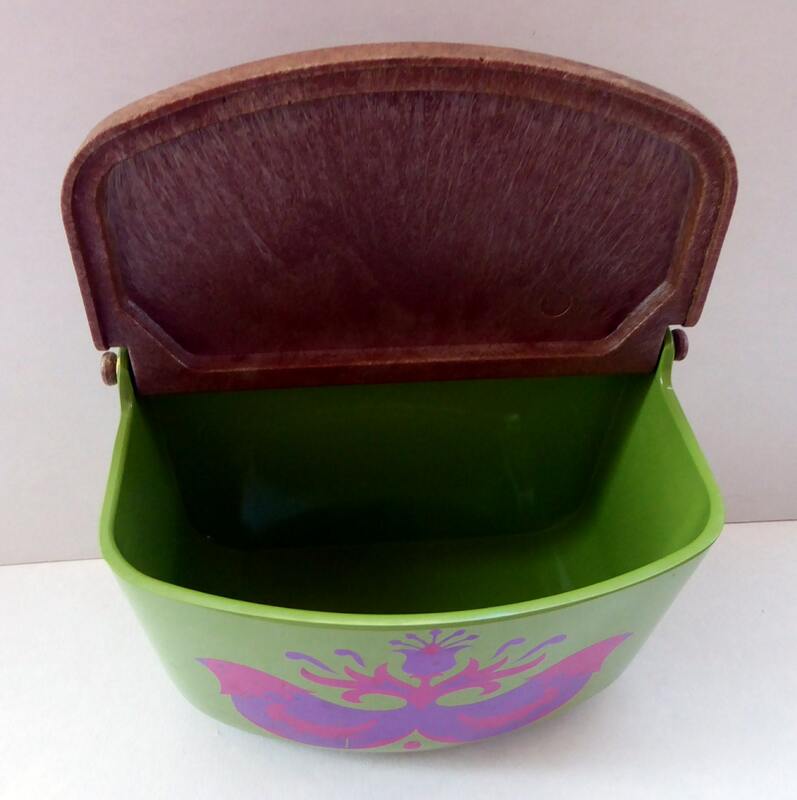 The lid is make of a plastic which is made to resemble a more traditional wood. 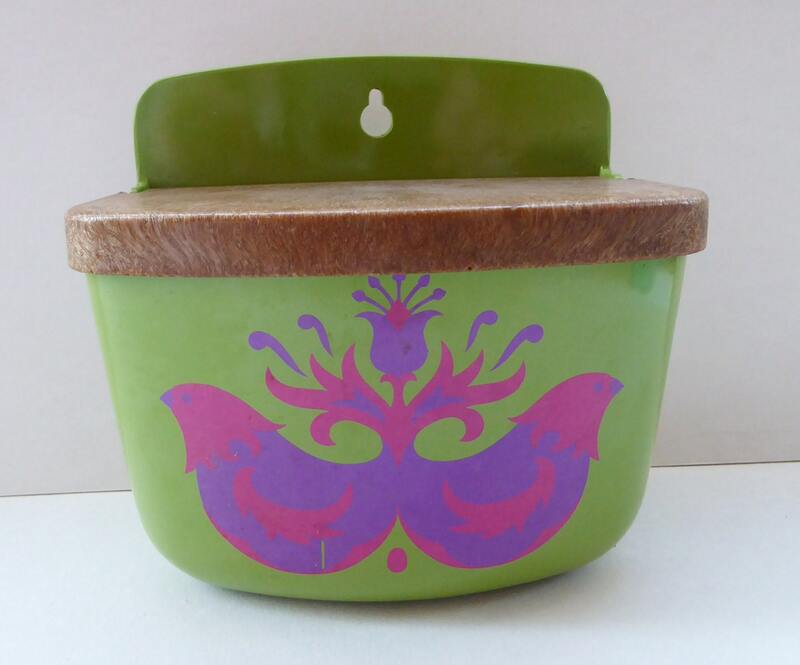 There is a really funky chicken image on the front - two little conjoined pink and purple chickens with a flower issuing from their tails in the center. 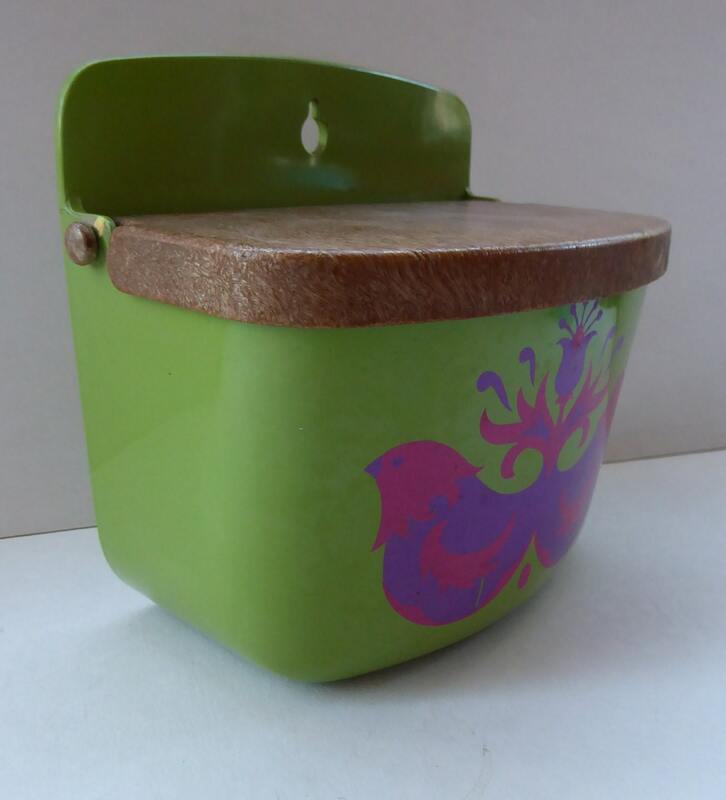 This rare little vintage Danish pot measures: 6 inches (15.5 cm) wide. It has a depth of 3 1/2 inches (9 cm) and the overall height is just over 5 1/2 inches (14.3 cm). It is in good vintage condition - no chips or cracks to the plastic. Some minor scuffs to the decoration on the front - and some teeny weeny nibbles to the lid at the front edge, not disfiguring and only commensurate with age. My price reflects that not many of these now survive and vintage Rosti items are now very collectable.